Andrea Nahles visited ENERGETIX’s Bingen headquarters in October last year. The Federal German Minister for Labour was not only delighted with the exclusive designer jewellery but also with the working conditions that ENERGETIX’s business partners enjoy. No wonder that the minister was not only impressed but also surprised when she visited. 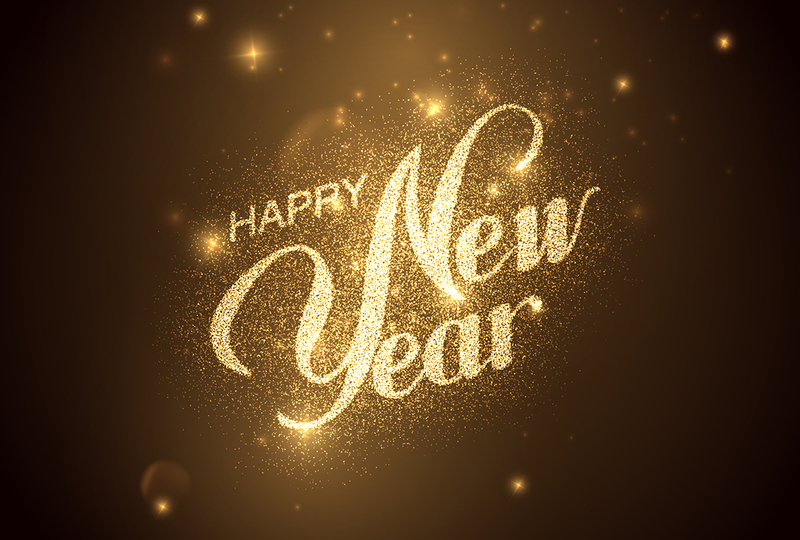 The principles that have governed the successful activities of ENERGETIX’s business partners for years satisfy almost all the requirements that her ministry has now set out in its White Paper about Change in the World of Employment, which was published at the end of November. This wish list for future jobs reads like an insider’s description of the conditions that ENERGETIX’s business partners already enjoy. It’s good for all business partners to know that they’re working in an environment that others can only dream of, particularly in this grouping of requirements. Nearly all of the targets set out in the ministry’s White Paper apply to the ENERGETIX job. So the next time you want to persuade a prospective business partner with powerful arguments, you can do so with the ministry’s help. We could have hardly wished for better supporting arguments. *The Federal Ministry of Labour and Social Affairs has published a White Paper to document a broader discussion in society about ‘Work 4.0’ and to explore how society could structure work in the future. 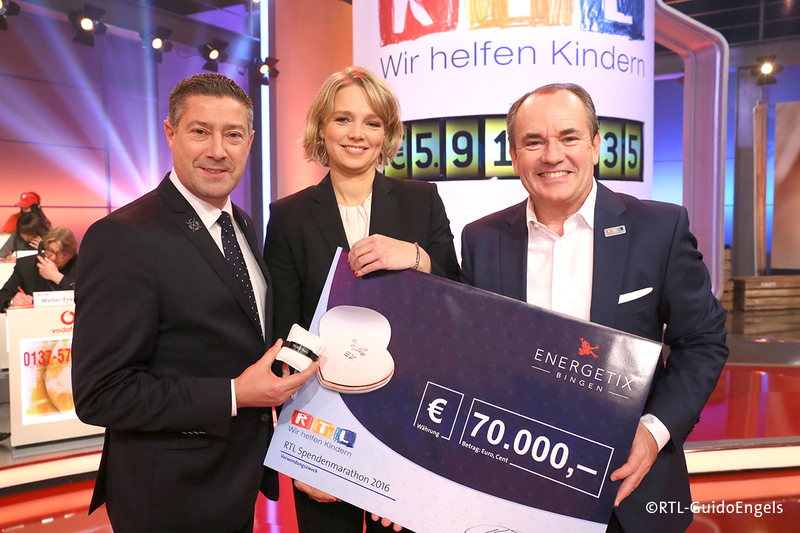 Together for a good cause: ENERGETIX business partners, Joey Kelly and the RTL television channel’s telethon! Social responsibility and the hunt for world records – how do they go together? ENERGETIX does not only design and sell high-quality designer jewellery with integrated magnets but also always gives its business partners the opportunity to take part in extraordinary events and to experience very special and emotional moments within the team. On 24 / 25 November, for instance, a group of ENERGETIX business partners were able to take part in the 24-hour bike challenge at the RTL television channel’s telethon and then break a world record: Joey Kelly, extreme sports personality and enthusiastic sportEX fan, joined the ENERGETIX team and 25 other company teams to cycle for 24 hours on spinning bikes to generate electricity that was then sold with the proceeds going to a good cause … the ‘RTL – Wir helfen Kindern’ foundation. 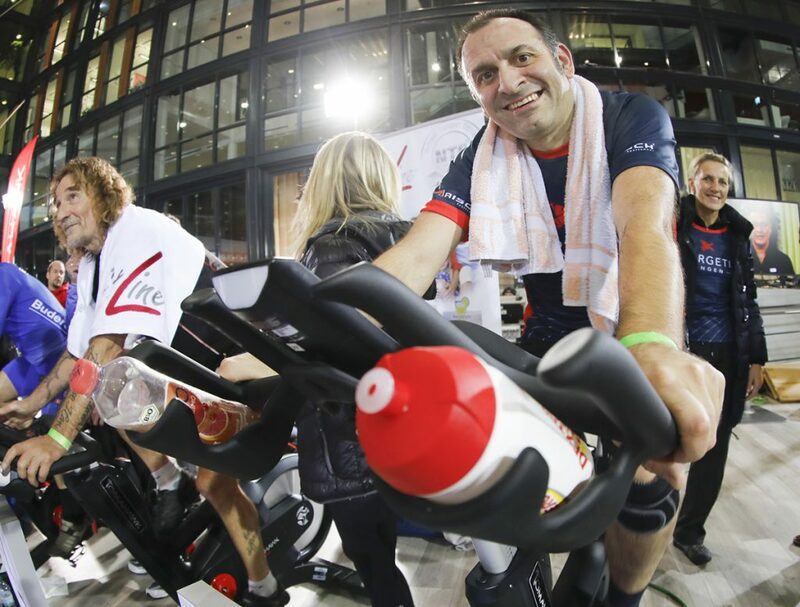 They were even able to break the world record for the ‘largest amount of electricity generated by muscle power on stationary bikes’! Congratulations! “Physically I feel quite good. I had a low during the night but everyone here cheered me on. I’m so grateful to be a part of the telethon,” Joey said happily as he climbed from his spinning bike for the first time in 24 hours.And the business partners also enjoyed the physically challenging mega-event and bask in the feeling of having conquered it as a team and having made an important contribution to a good cause. This way to the photos! Jessica Schlick, member of ENERGETIX’s management, was even live in RTL’s studio to hand over the funds collected by ENERGETIX to the host, Wolfram Kons, who accepted on behalft of the ‘RTL – Wir helfen Kindern’ charity: symbolically in the shape of one of ENERGETIX’s magnetic bracelets in which the total had been engraved – a magnificent 70,000 euros! 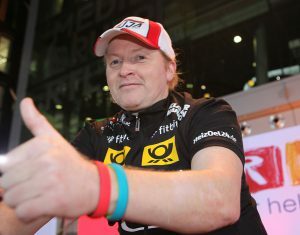 Charity has always been and is of special importance to Roland Förster. 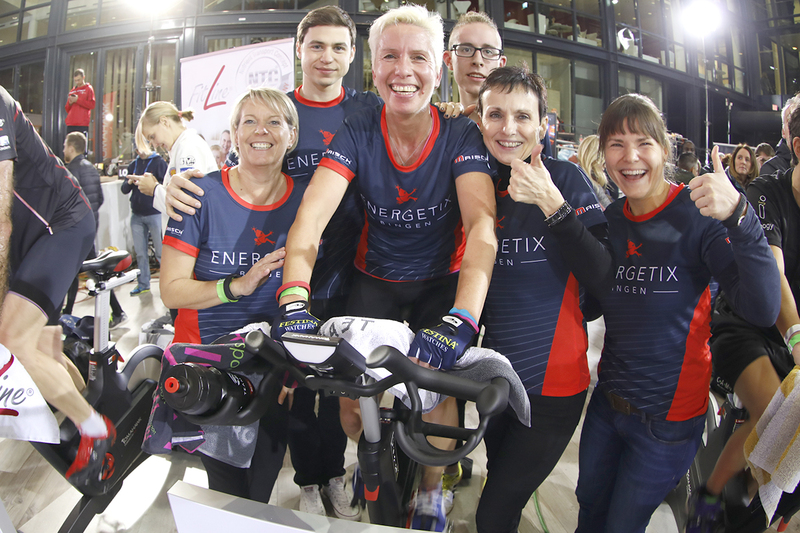 So ENERGETIX’s founder was particularly happy to be able to make a decisive contribution to the foundation’s projects as one of the main sponsors of the 24-hour bike challenge. Joey Kelly, who is a friend of the business, and the 26 highly motivated company teams that took on the challenge generated funds totalling 733,000 euros this year! 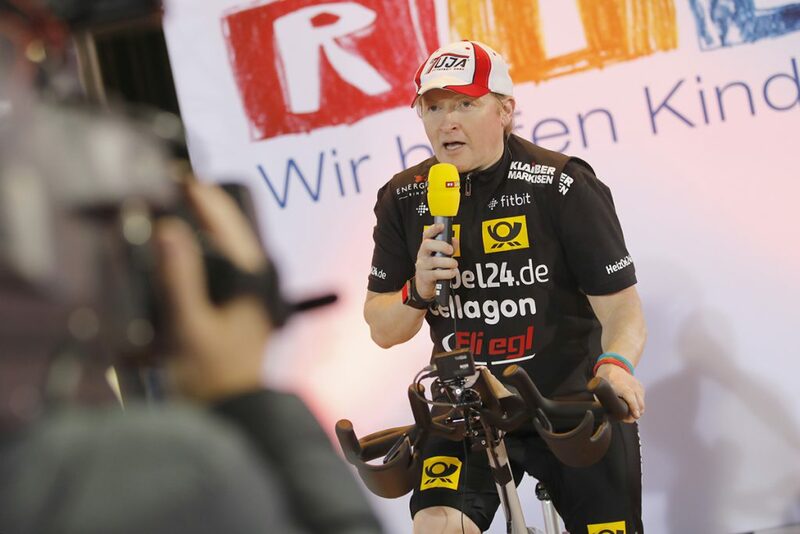 RTL’s 21st telethon, the longest charity show on German TV, generated a remarkable sum of 7.8 million euros to help children in need.